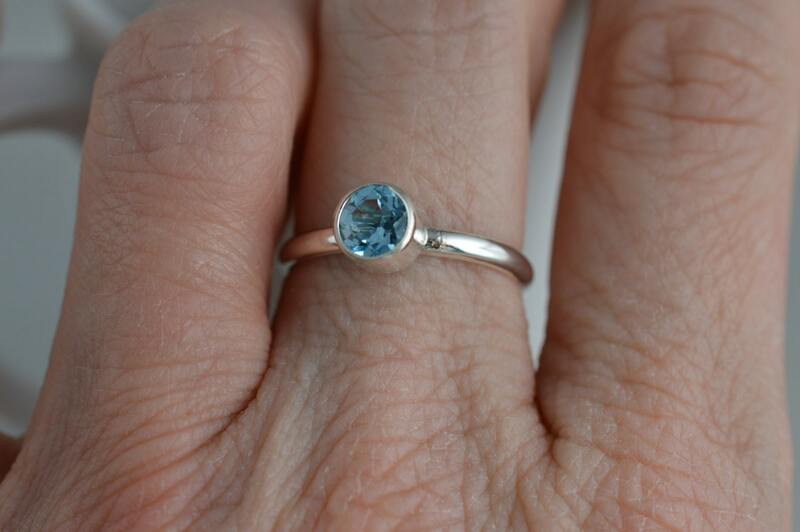 I bezel set a 5mm AA grade Blue Topaz gemstone to sit on top of a 2mm simple rounded band. 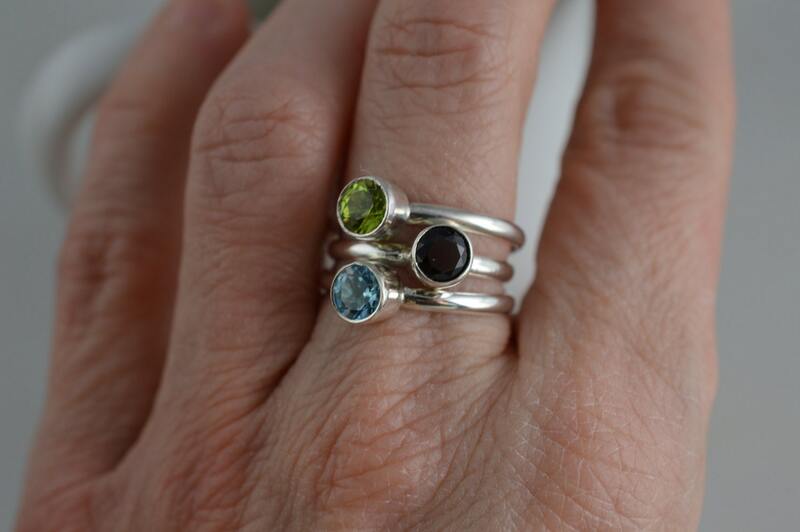 These gemstone rings are great to wear alone, stacked together or mixed and matched with other rings! So many options! 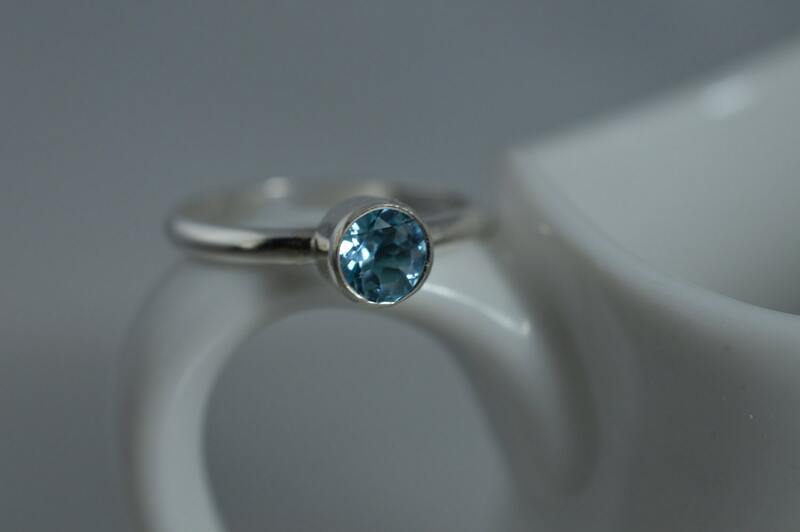 I hand form, fire, and polish this ring in sterling silver to make a gorgeous ring that you can wear with everything. 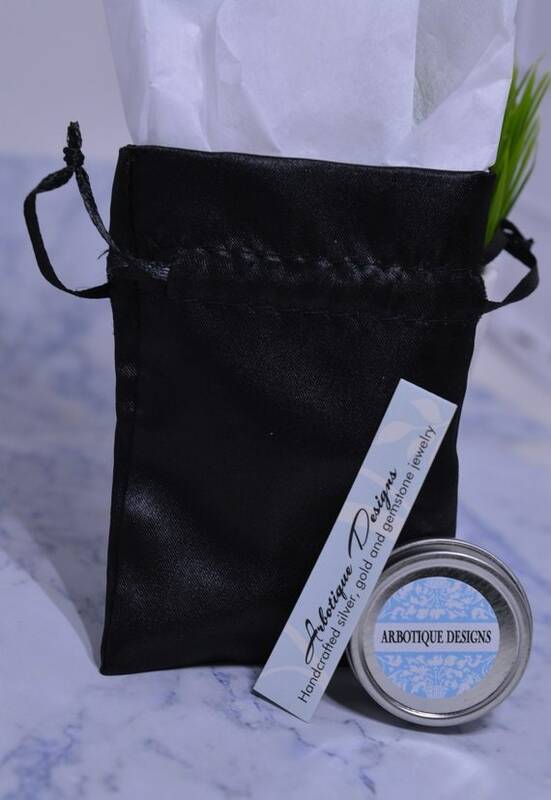 Wear it by itself for an understated look or wear a bunch together for a modern, layered. 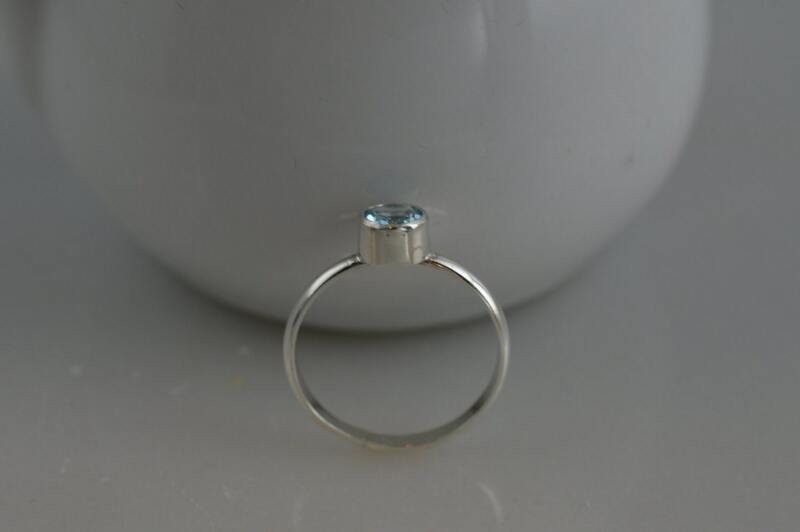 Ring is available in sizes 1-12 with either a hammered or smooth finish.